The joy of watching just the highlights is that everything looks so slick and sleek. Three peaches of goals playing football the Arsenal way! We had conceded a bad goal caused by Koz receiving the ball in a tight space and then making the wrong decision. Sunderland’s Lens benefited from this and then slotted the ball hard past Cech. After the presence of Cech and the woodwork had saved from what looked a certain goal by Watmore, who had out powered Gabriel, we won the game by two very fine goals, both assisted by Hector Vector. Ramsey had come on for the impressive Iwobi after 67 minutes and it only took him five minutes to find the net. Bellerin combined with Campbell who launched the Spaniard, in an Ozilesque way, very close to the edge of the pitch; Rambo made the run and The Bells found him with an easy pass, kept low to the ground. Mesut approved it all with a simple ‘Wunderbar!’! The third one was equally as beautiful. The Ox launched Hector Vector nonchalantly with the outside of his right foot, and the Spaniard killed the ball superbly after running into the Sunderland half. Ollie pointed where he wanted the ball and Bellerin played a measured diagonal ball that the defenders could not reach yet Ollie only had to tap in: absolutely flawless! said Mesut in his best English. Watching the highlights gets rid of tbe clutter we see in our matches, but factually we are terrorised by Watmore and Lens for the most of the game, due to the lack of b2b player. Due respect to Ox, who looked better in that area, but the number of chances he created from deep lying midfield pales in comparison to Rambo. Everyone grew with the game. We were tired and cranky, until the mistake by Bosscielny let Lens in and scored an away goal. We started to get better and got an equaliser from Campbell, via an assist from Theo, who did better than our previous match. With Rambo in for Iwobi, who is good for a player of his height, we were better in positioning and running. Jeff came on late in the game and is definitely one for the future. His vision reminds me of a younger Ox, and his runs are very precise. Good game in the end and good but nervy performance from the lads. Don’t get me started on the ref. TA, your post is a celebration, and rightly so. I don’t speak a word of German, but l interpreted “Jawohl, dass war spitze” as “My God, that was special” and “Wundebahr!” as “Wonderball”. Just don’t bother to get me better informed. I am fine as I am, celebrating. Campbell is playing with greater and greater authority. Ox should have more games at the center for that is where he can grow to reach that fabulous promise of his potential. Iwobi is so pretty, am sure his mother also named him twice (Jay-Jay). See Jeff, he runs with the ball, his eyes scanning the field (do you know what that means?). As for Bellerin, he is pure wunderbahr! PE, that’s why I mentioned that Ox is more of a b2b player in my earlier comments, and TA replied (or was it 17ht?) that position is already taken by Rambo and Ozil. Good points about Campbell, Alex and Jeff. MoTM is definitely Campbell, but Bells is equally good with 2 late runs to assist goals number 2 and 3. After Rambo and El Capitan came on, Rambo’s stint on the left wing made everything look so much better on the eye. Glad to hear you say Ox played better in the box to box position yesterday. I loved his shot against the post and, from what I saw, he was enjoying himself. I misspelled Wunderbar earlier in the post (Wunderbahr) but it means wonderful. It is a term that is sometimes used in the UK too – a bit of German that slipped in I think. Yes, JK/TA, when Rambo came on, we looked more potent. His desire and ability to get into good places in the box should be exploited maximally. Ozil is a #10 who assists. Rambo can be visualized as a #10 who scores goals. Is there a formation that can accommodate the two? 4:1:4:1? Or is the 4:2:3:1 with Rambo as B-to-B adequate in maximizing those late runs? But that leaves a hole in front of our back four. Maybe that’s why Bel has been conservative in his offensive play when Rambo plays B-to-B. But then Bel is wunderbar as a wing back. Difficult choices I must say and I fear I must be heading back to square one. Even when Elneny comes in, we will still play 4-2-3-1.. double pivot is still the safest formation. That is why Ozil and Rambo are best at their positions, to cater for counter attacking positions. Back to the review i must say that somehow Chambers lack speed in the DM area. Weird that he is supposed to be a wing back but somehow it almost cost us. Arteta is also weak at speedy counters so we are a little short at the DM area there..
Their goal did up the urgency level but I was impressed that there was no real panic. Ox, in Santi-esque fashion, kept trying shots from distance–and kept having them blocked or missing the target, including that one in the 2nd half which hit the post… Iwobi, meanwhile, kept moving the ball smartly and looking SOOO much better than he did the last time he started–in the COC debacle in Sheffield. If he gets just a tiny bit quicker to the ball he could be a real player, I think, and he’s still only a teenager (so why not? )… His pre-assist for the first goal was very good. Theo’s assist was better and JC’s run and finish were WAY better than anything I would have expected having watched him up there in that same match in Sheffield. Ahhh, that must be it… Quiet = Good…. HT, fluidity sounds like the answer. As you put it………” ….if they just keep an eye for one another they can shift and fill for one another”. I just wonder if it easier said than done. Walcott is excellent in identifying big spaces that require speed to reap the opportunity in it, eg running off the shoulders of the back four. Ramsey’s late runs, more often than not are into tiny spaces that also offer huge opportunities. It’s almost as if he creates those opportunities. They materialize for him, and defenders can’t do much about them. In these days of mass and narrow defending, they offer greater chances for goals. It’s a special talent (refer; Lampard) that should not be stifled by positioning Rambo wide right, or by checking his runs for the sake of defensive shape. 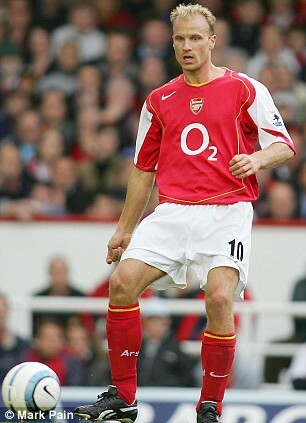 #10 for him is unthinkable for us because of Mr Ozil. B-to-B with a high defensive line is the only thing I can think of. The high line squeezes the spaces vacated. Employing a high line would require a fleet footed DM (Elneny?) and our Per on the bench.